These mats are not designed for use as tumbling mats, for athletic activity or competition. Nor are they designed for use as a substitute for a surface system under and around playground equipment. These floor mats help parents to create a durable and comfortable play room for babies and small children. The new interlocking teeth are 6cm in width to add more safety for children while playing. 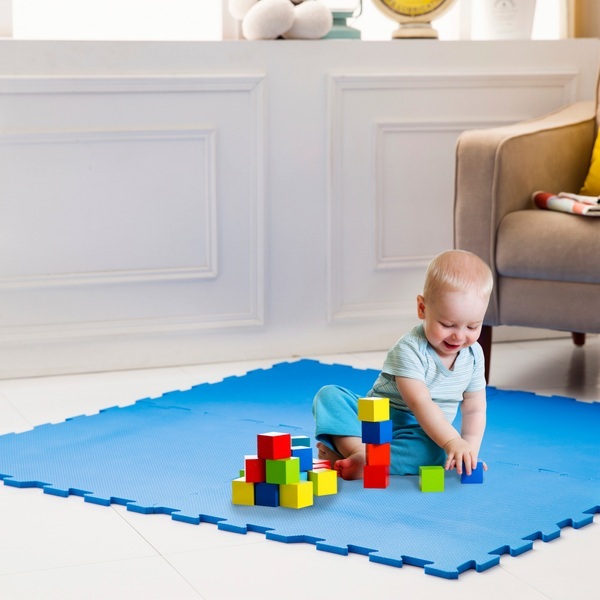 Plus, the big puzzle mat and the small puzzle mat can be connected together, making them more flexible to use in playgrounds, bedrooms, day-care centres, nursing schools, and kindergartens.